I tried to pinpoint as closely as possible the towns/cities our favorite idol group members are from but some wiki pages don't indicate that information. 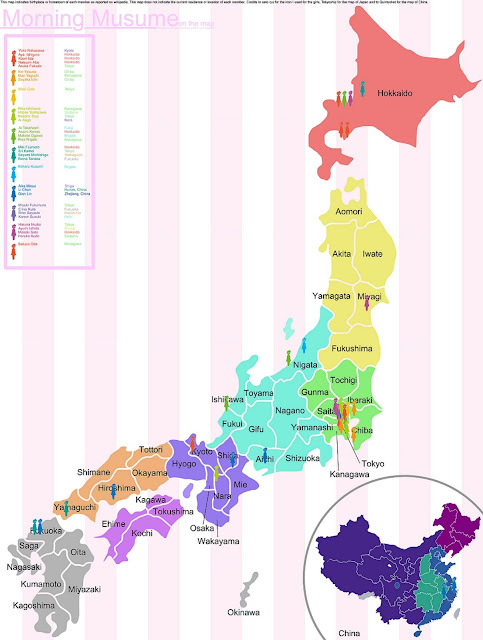 So I just got the prefectures down. It was fun making this and pretty informative. I like how messy Tokyo-Saitama-Kanagawa looks. I also noticed that there aren't any members from Shikoku (the pink island) and that they only got a member from Tohoku at 10th gen (Masaki Sato). At first I was surprised that Kansai seemed under-represented but then I realized and was further surprised that none of them were from Osaka. 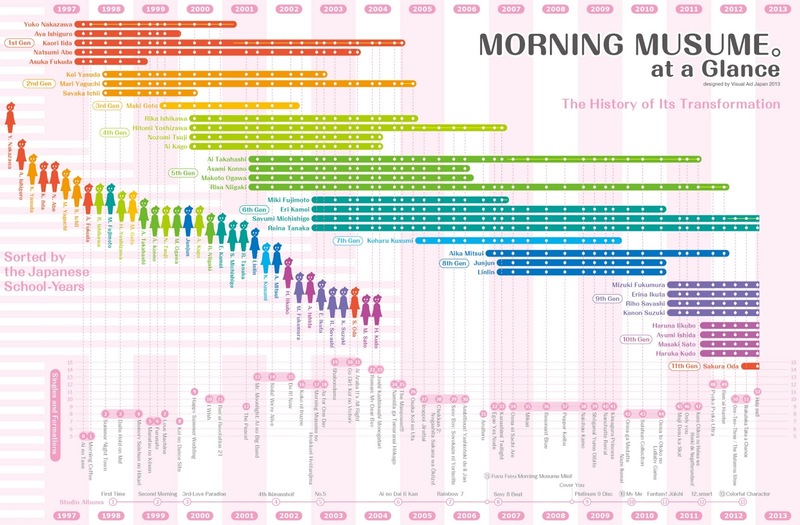 I recently compiled basic data on Morning Musume like their birthdays and blood types. Not really important things. But still fun to put together. I was also looking through their discography but I thought making an infographic on that would be depressing especially when it comes to sales. Nice map! 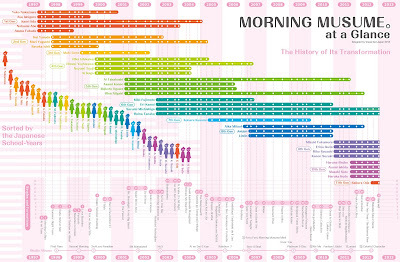 I'm a Morning Musume fan from the UK here! thank you for loving my work! I'd love to see your works more and more! ... YOU FOUND ME!!! .. yey!